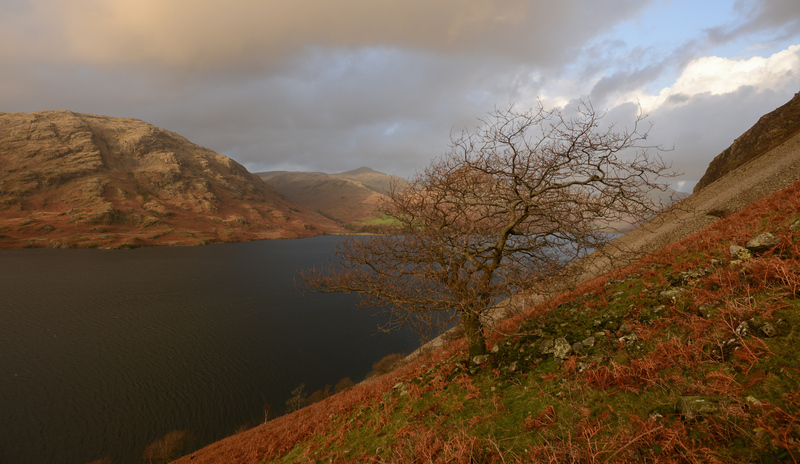 The seven Lake District trees are beacons and metaphors for a wider national and global story and a trigger for a deeper enquiry into trees, through online and community engagement in the Lake District and in UK cities. We chose the seven trees not because they are ancient or huge, but because they fit their place so well. Against many odds, each of these trees took root, survived a vulnerable infancy, and now thrives. We will be walking to each one, several times, in every season, and record our journeys and our findings at each tree. Over midsummer 2016 we walked for seven days and seven nights between all seven trees. ‘THE LIGHT WALK‘ took us from the hawthorn in the east to the oak in the west, following the sun during the year’s longest days. In winter, when the nights are long and the days are short, we will walk through darkness and under moonlight to encounter the land and the trees as they are seldom seen.